Projects like this cannot be done alone and I would be honored to have you be a part of creating this work that is so close to my heart. Your donation will go toward the commissioning fee, musician fees, space rental, marketing costs and hiring a production team. If you would like to contribute, please reach out to me through my contact page. Thank you so much for your support! 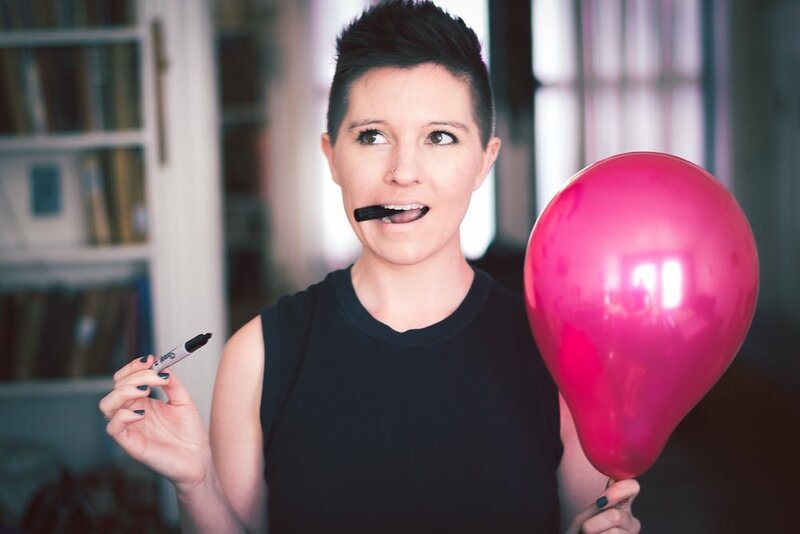 Wordless scene in which Soprano inflates several balloons one at a time, writes on them with a sharpie and then steps on them to hear them pop, screaming and howling.